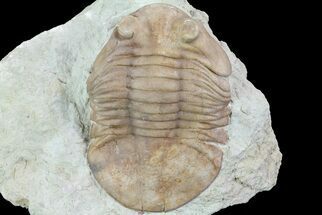 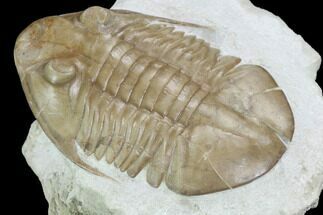 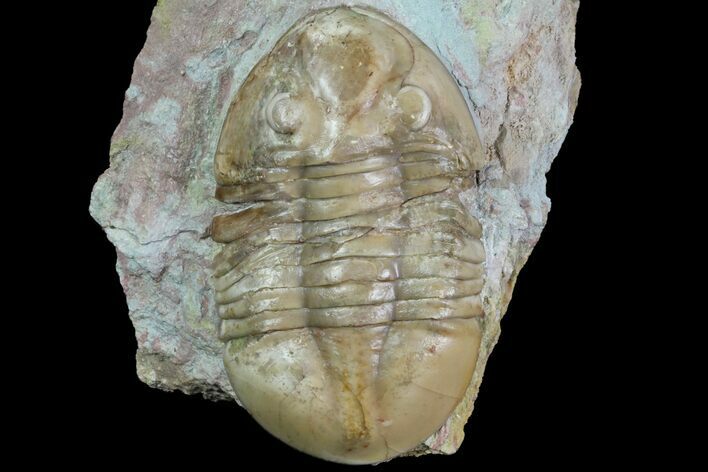 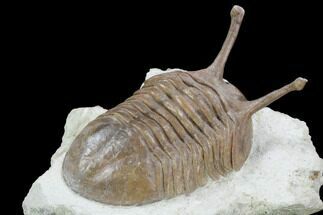 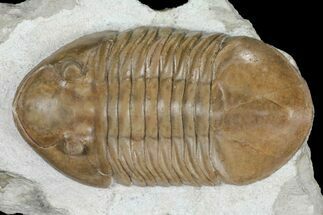 This is a 2.4" long example the earliest species of Russian Asaphid trilobite, Asaphus broeggeri. 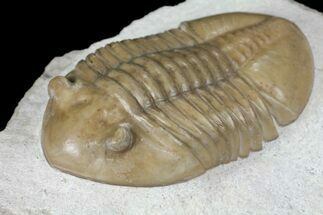 This is a rarely seen species, in fact it's only the second that I've had. 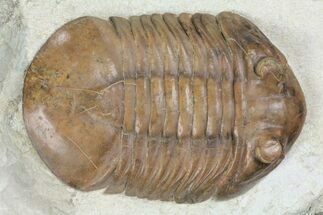 There is about 15% shell restoration on it though, the shell on the left side of the head, and some of the pleural tips on both sides.